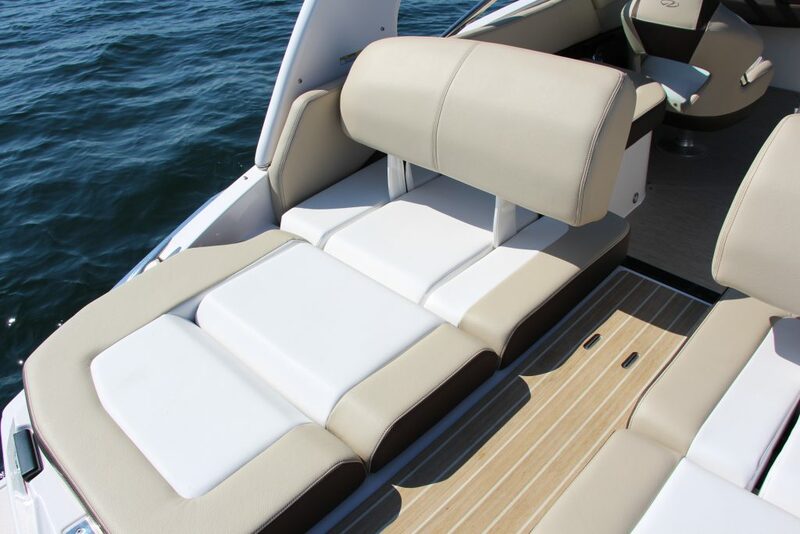 With the exploding popularity of ultra-plush pontoon boats, the trend to extra-comfy accommodations on the water is spreading to big bowriders, including the luxurious and spacious Regal 2300. 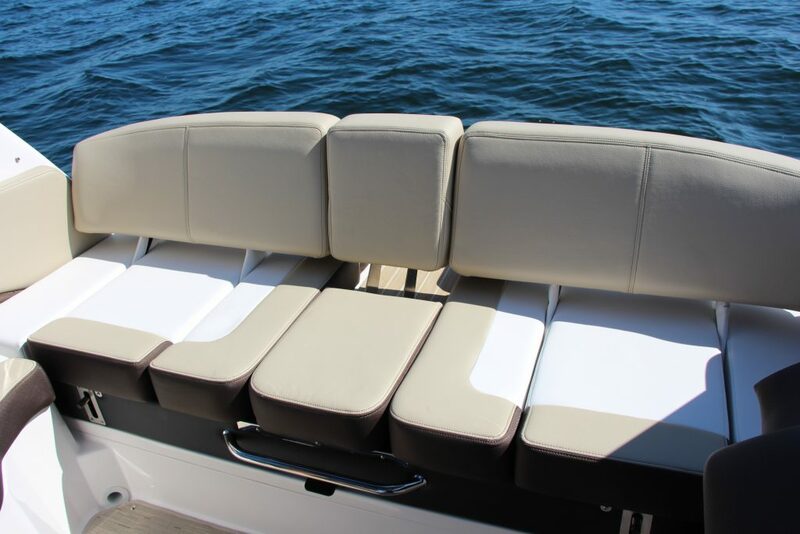 With a pair of full-length adult-size lounges, complete with armrests and sculpted cushions, the Regal’s bow compartment is no longer just a place for the kids. And while the broad extended swim deck aft is sure to be a child magnet – as a prime access point to the water – it’s also well-equipped for relaxation, with convertible aft-facing lounges for a pair of adult lifeguards. If there are no children to supervise, a nap in the sun is not out of the question. In between, the 2300’s cockpit offers plenty of seating, with a U-shaped wrap-around lounge and swiveling helm and companion seats. There’s no shortage of storage space either – especially under bow and cockpit seats – and a cockpit locker dedicated to a cooler and trash bucket. 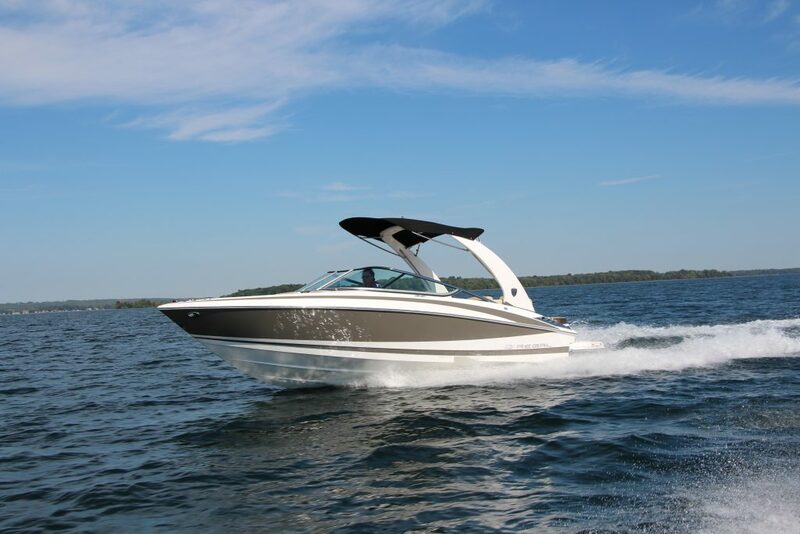 The Regal 2300 is also comfortable in all kinds of water conditions, whether you are cruising or hurrying to reach home port. The 2300’s well-proven, patented FasTrac stepped and ventilated hull is key to its performance. The design provides relatively deep-V sections aft for handling waves and chop, along with chines, steps and air induction that improve planing, speed and fuel economy. In our test boat, powered by a 300 hp Volvo Penta 300 Duoprop sterndrive, that translates into quick and easy acceleration and planning. At 2,500 rpm the boat is on plane at 20 miles per hour. Cruising speeds – 27.3 mph at 3,000 rpm and 33.3 mph at 3,500 rpm – also reflect the hull’s efficiency. GPS-verified top speed in testing is 50.2 mph. The FasTrac’s strakes plus twin counter-rotating props on the sterndrive contribute to responsive turns and tight cornering. 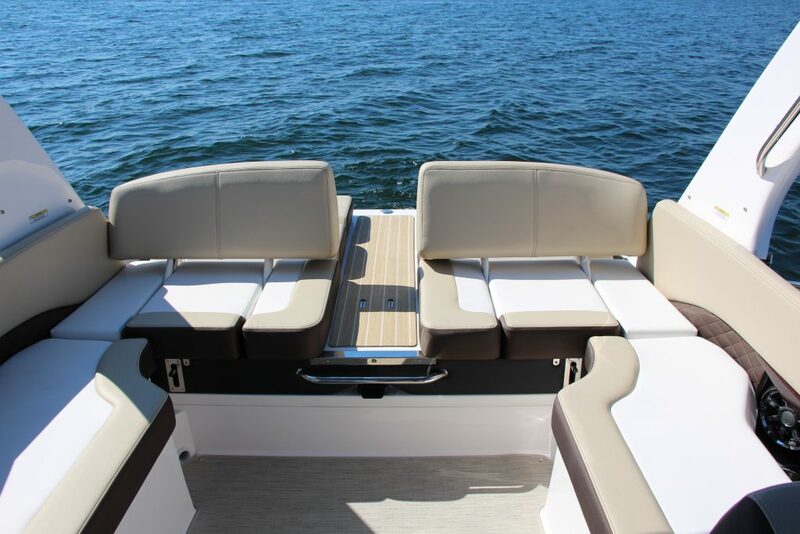 The test boat’s coloured gelcoat topsides add panache to the 2300’s European-inspired lines; the forward-facing arch and integrated Bimini look great and keep the cockpit shaded. As always, Regal’s quality construction, materials and finishes are part of the equation. Along with space, speed and comfort, the 2300 also delivers style. This boat test is featured in the 2016 Test Issue and at BoatTest.ca.